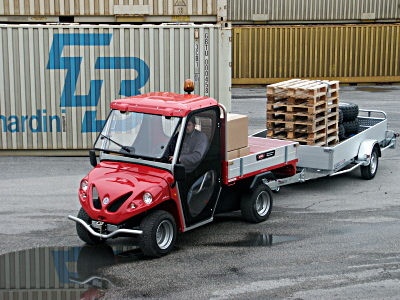 Alke electric towing vehicles are able to tow up to 4000 kg without problems being good workmates. 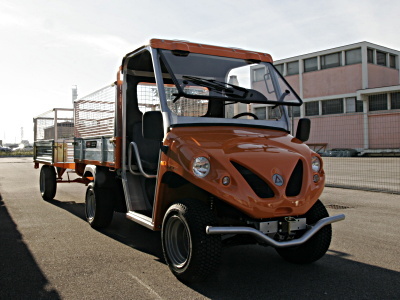 Alkè electric vehiclescan tow up to 4000Kg. This has been possible only using a very solid construction and high power motors. 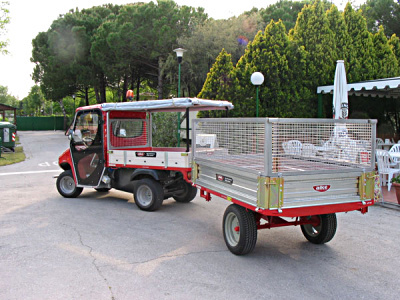 With an electric vehicle you can tow up to 4000 kg and this is a very big result because till today there weren't electric vehicles able to tow this kind of weights. 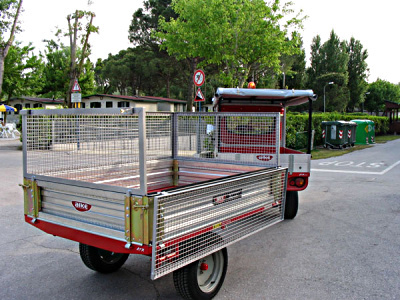 Alkè provides to its customers trailer of various sizes and with different loading capacities and also with boarder and steel mesh sides. 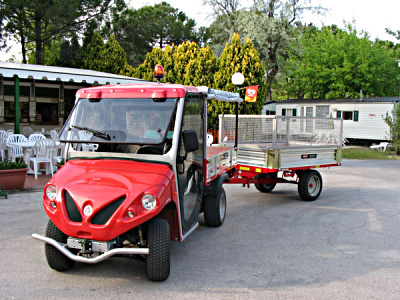 Alkè towing vehicles are ideal for logistic services because they can tow one or more trailers and run in city centers without limits.